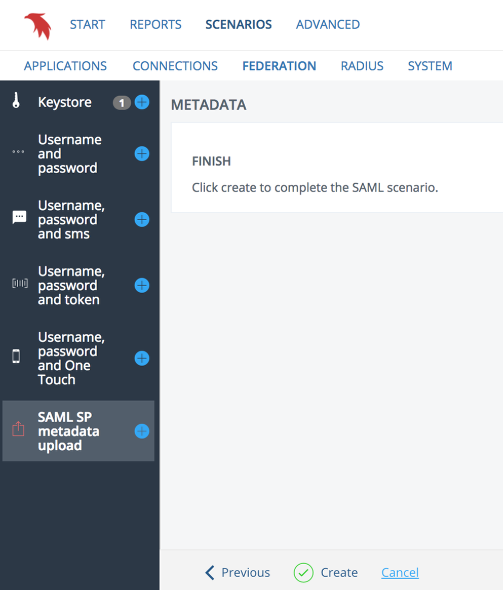 In oder getting PhenixID server act as an IDP trust needs to be established with the SAML Service provider, SP. This is done by uploading the SP's metadata. 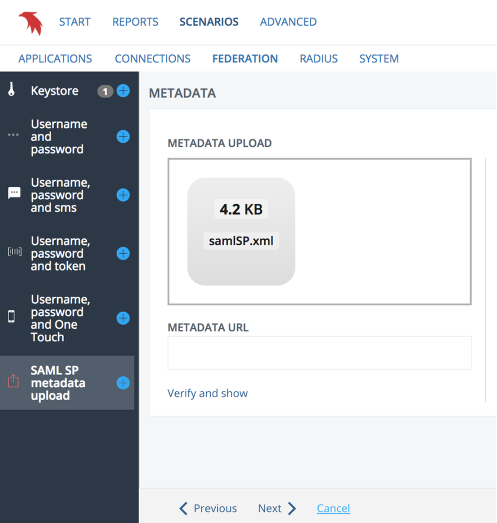 Metadata can either be consumed as a static file or from an URL. 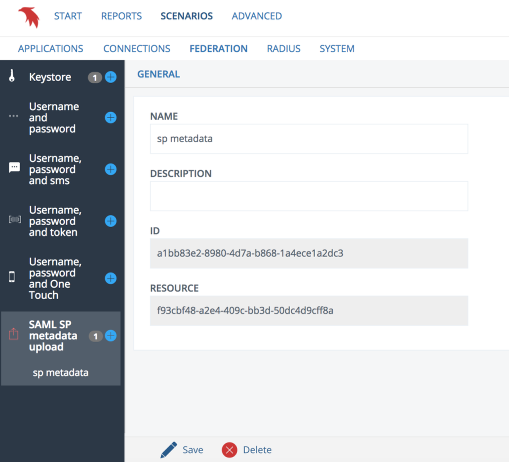 When retrieved from an URL caching and reloading is handled by the system based on the SAML standard. When using a static file updates of the metadata must be handled manually. Start by clicking the plus sign. Provide friendly name and description then click next. 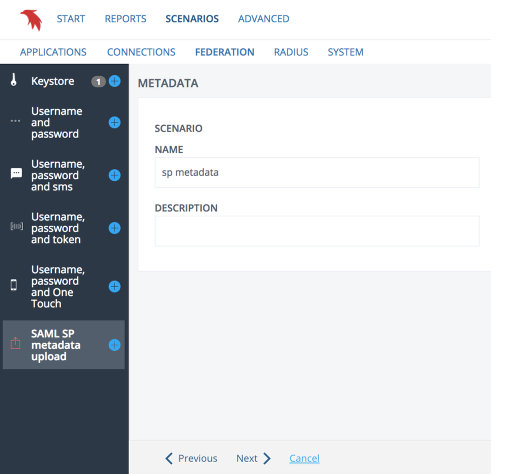 Next step prompts for either a valid saml metadata file OR an URL where target must return a valid saml metadata. Regardless what is chosen it is good idea to verify by clicking "Verify and show". After a couple of seconds the systems has loaded all enteties inside of the metafile. This can also be verified by log entries on the server.log file.